Distinguishing Characteristics African-American female. Black hair, brown eyes. Ta'Niyah has pierced ears and a light-colored birthmark on her right leg. Her nickname is Ny Ny (sometimes spelled "Nye Nye"). Ta'Niyah's mother, Miranda Jones, claimed she last saw the child when she dropped her off at her boyfriend Michael Lewis's apartment at the Azalea Gardens complex on Golfview Avenue in Bartow, Florida, at 10:30 p.m. on October 19, 2002, so he could babysit while Jones went out with friends. Photographs of both Lewis and Jones are posted with this case summary. Lewis claims that Jones picked up Ta'Niyah at 8:30 or 9:00 a.m. the next day and he has not seen the baby since; however, Jones claims she has not seen Ta'Niyah since October 19. On October 20, Jones called the police to report a physical altercation between herself and Lewis. She said she went to Lewis's apartment on the evening of October 19 to get Ta'Niyah, and he told her the baby was at a friend's home. Jones went to the friend's home and found it vacant, so she returned and confronted Lewis. Lewis allegedly threatened her and kicked her, knocking out several of her teeth. Lewis claimed Jones attacked him with a kitchen knife, cutting his hands, and he hit her in self-defense. Blood was found in his apartment and investigators took photographs of the wounds on Lewis's hands. Police say it is possible that Ta'Niyah is being used as pawn in a domestic dispute between her parents. In a press interview in 2006, Jones stated she believed Ta'Niyah was alive and in the care of Lewis's family members. She said there was dispute over the identity of Ta'Niyah's biological father and paternity testing had been scheduled for sometime after the baby's disappearance. Jones stated she believed Lewis took Ta'Niyah and hid her because he was afraid he would lose access to her if it turned out he was not her father. Ta'Niyah is considered to be endangered. There is no physical evidence to indicate she is dead, and some investigators believe she may still be alive. However, Jones and Lewis, who continued to date each other occasionally, had another baby together a year after Ta'Niyah vanished and the Florida Department of Children and Families (DCF) moved to terminate their parental rights towards the infant. The DCF's court petition stated Ta'Niyah was injured in a confrontation between her parents and is presumed deceased. Jones and Lewis's second child has since been adopted by another family. Lewis has been arrested at least six times since Ta'Niyah's disappearance, mainly on charges relating to disputes with Jones. Investigators believe either Lewis or Jones is responsible for Ta'Niyah's disappearance and probable death, but they cannot proceed with charges against either of them due to a lack of evidence and due to the two suspects' conflicting stories. Prosecutors offered both of them immunity from any charges if they would return Ta'Niyah alive, but neither Lewis nor Jones accepted the offer. Each one has implicated the other in the baby's disappearance, but no corroboration can be found for either version of events. 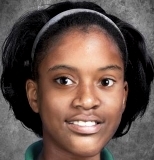 Ta'Niyah's case remains unsolved. Updated 6 times since October 12, 2004. Last updated December 26, 2014; age-progression updated.